Home cinema used to be oh-so simple. Partner a bigscreen TV with a home theatre in a box (HTIB) and you were sorted for whatever DVD or Blu-ray you wanted to play. You could go the separates route, splitting your speakers, AV amp and disc-player purchases in pursuit of greater quality, but an all-in-one system couldn't be criticised when it came to covering the basics. It was wonderfully democratic. In 2016 the landscape has changed considerably. Soundbars and soundbases are in. All-in-one systems are out. Well, almost. Check out the likes of Currys and Argos and you'll find 5.1 and some 7.1 packages from Sony, Panasonic, Samsung, LG, Bose et al clamouring for your quids. People must still be buying them, but industry figures reveal not in their droves. Nor are most of the ones being sold hot off the factory line. This year's CES was all about HDR TVs, wearable tech and smart fridges. What it wasn't about was one-box systems featuring multiple speakers and spring-clip terminals. If, for instance, Samsung is planning to launch a new range of HTIBs, then it hasn't mentioned it. This year could be the one where the category is left to flounder. Soundbars and soundbases can be excellent. They can offer tasty dynamics, crisp highs and expressive mids, and with a side-dish of beefy bass. And there's plenty of variety in terms of style, price and feature sets. Yet what they don't offer – despite their best efforts – is authentic, genuine, discrete multichannel audio. Or built-in disc playback, for that matter. So if you want bona fide home cinema now, you have to assemble a setup from separates. As a reader who recently wrote into our letters pages said, you are being 'forced.' I wouldn't quibble with that. This change in the AV market raises an interesting question. Namely: how long will home media support 5.1 mixes? Could we one day be declaring multichannel home cinema audio as dead as a Betamax deck and wiping a tear from our eye? So what's the path for the future in the sub £600 category? Well, I could lurk outside retailers and tell the AV curious that it's easily possible to pick up an AVR, BD deck and 5.1 speaker set for that money, and to hell with the wires. But a better use of my time would be to point them in the direction of products like Philips' Fidelio B5 and Sony's HT-RT5 (pictured), which combine a soundbar and subwoofer with wireless rear speakers. No integrated BD deck, but everyone watches Netflix these days anyway. There's also Samsung's HW-K950, which admittedly is more expensive but adds Dolby Atmos to the menu. 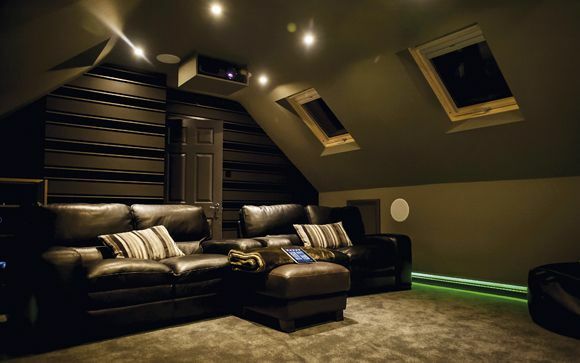 This is home cinema reinvented for the 2010s. And it's probably as close to the HTIB glory days as we're going to get. They may not be 'real home cinema', but I'm all in favour.